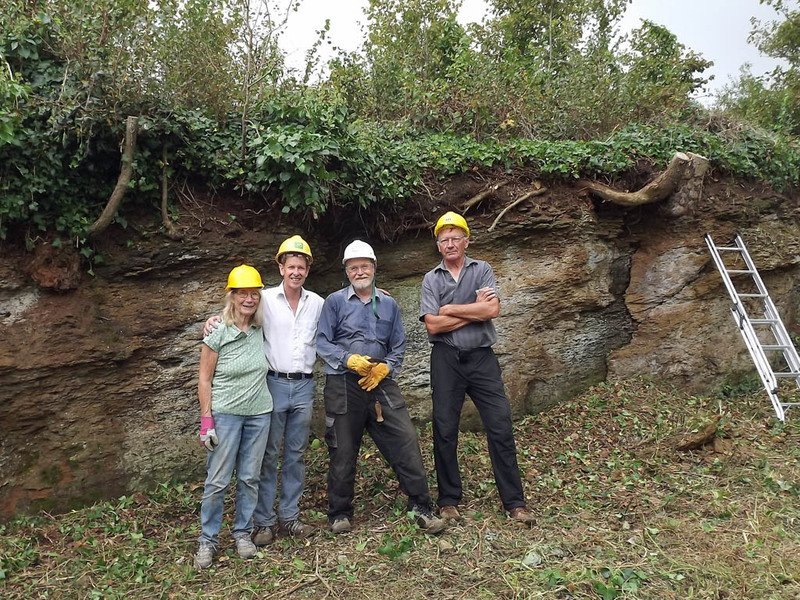 Some team members from the DIGs group carried out successful conservation at Red Lane Abbotsbury on Thursday (18.9.14) and Saturday (20.9.14). 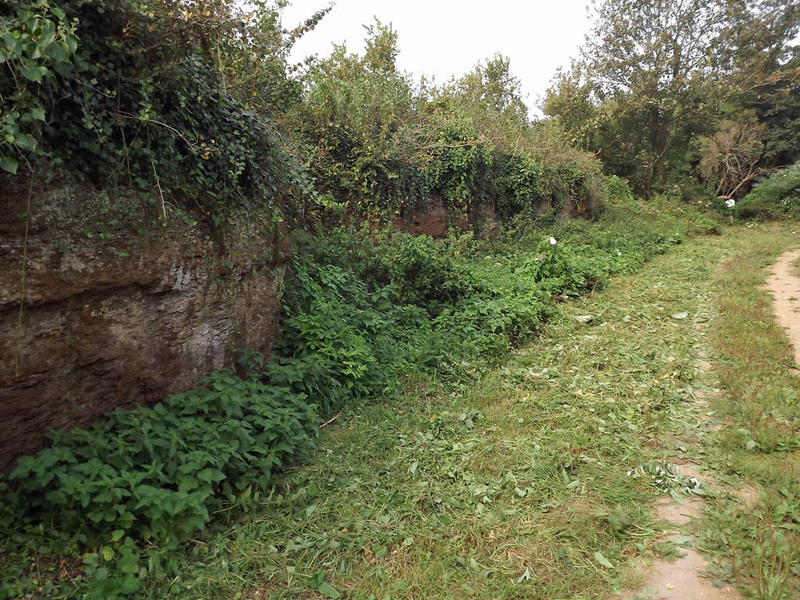 The rock face was difficult to access because of nettles which have now been cleared. 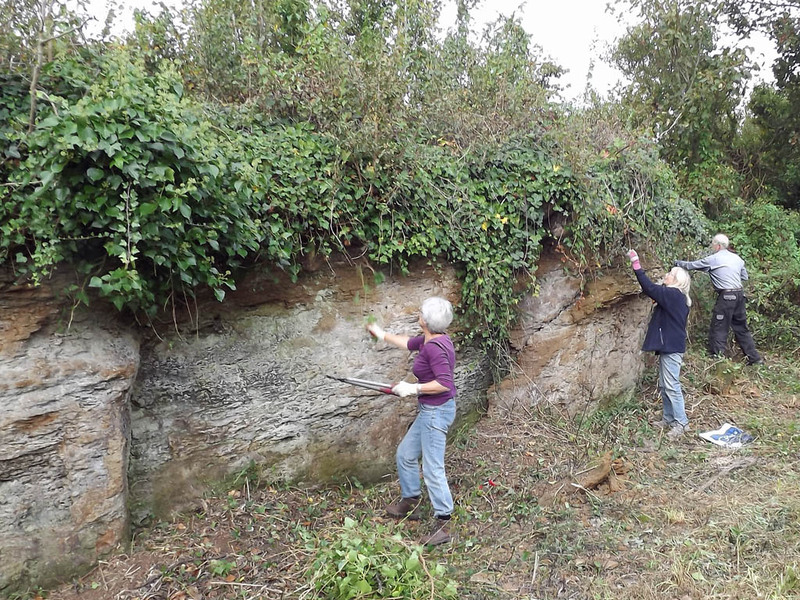 The rock face was also somewhat obscured by ivy and convolvulus which have also been cleared. This is an interesting site and a group of Canadian geologists are planning to visit in early October. Further information is available on the Red Lane Abbotsbury site page.